The White Lions of South Africa are critically endangered. They are afforded no protection in legislation, and may be legally hunted in the wilds of their homeland, as well as in captivity, where tamed lions are being shot in enclosures – a malpractice now known as “Canned Lion Hunting”. In the last 30 years, Africa has seen a decline in lion numbers of over 50%. While the indigenous elders revere the White Lions as the most sacred animals in Africa, the international trophy hunting cartels exploit them as the highest income-earning trophy. The short-term material gain of a few exploitative individuals cannot justify the long-term economic and ecological catastrophe of destroying a living heritage for future generations. The focus of this documentary is to bring global awareness to this unprecedented crises of special eradication and inform the audience that, in ecological terms; this same Lion is the apex predator, key to the survival of the entire ecosystem. In economic terms: the Lion is equated by indigenous cultures with Gold, the “Lion of Metals.” In cultural terms, the Lion is the King of Animals, equated with leadership and good governance of the earth’s resources. And in spiritual terms, the White Lion is believed by indigenous leaders to be “King of Kings”; a salutary reminder that God still exists in creation, and we humans are accountable for the sustainability and stewardship of our earth. This outstanding odyssey begins in 1991 with a heart-stopping misadventure in the Timbavati Reserve of South Africa. Linda Tucker—a successful fashion and marketing executive—and a group of fellow travelers found themselves surrounded by a pride of angry lions. There was no way out, night had fallen, and the battery in their only flashlight was beginning to flicker. Miraculously, a local medicine woman known as the “Lion Queen”, with two youngsters in tow, passed, trancelike and fearless, through the lions and escorted them all to safety. After her rescue, Linda’s life changed forever. She abandoned her career and became a conservationist founding the Global White Lion Protection Trust (WLT) and securing large tracks of ancestral pride-lands with the objective of protection of the unique White Lions, and the preservation of the magnificent cultures of the indigenous Tsonga and Sepedi communities, which celebrate these legendary animals as a cultural and conservation legacy. Her journey would lead her to ceremonies of Old Africa, in which humans and lions are able to cross the species barrier in accordance with the most guarded secrets of Ancient Egypt and mankind’s greatest riddle, the sphinx. Guided with knowledge, Linda successfully reintroduced 3 prides of White Lions back into the wild in a carefully monitored scientific reintroduction program which is restoring their gene pool to the region of their origin. In the ancient Tsonga language Timbavati means, “The place where the Star Lions came down.” Hundreds of years before the Kruger was declared a national park the African Kings declared it a ‘sacred site’. The Shamans viewed the White Lions as angelic beings sent to earth to save humanity at a time of crisis. They believed the killing of a ‘Lion Sun God’ to be the ultimate sacrilege. This documentary will bring to light not only the challenges of protecting the “Children of the Sun God” and the issues facing conservation in Africa, including the outrage engendered by the killing of Cecil the Lion, but will be a harbinger call that the human treatment of these majestic creatures may determine how nature treats the human species. Scientists have established that mankind’s most significant evolutionary leap occurred as a result of our ancestors’ interaction with great cats. The White Lion is a genetic rarity of ‘Panthera leo,’ unique to the Timbavati region of South Africa, in the heart of a wilderness area declared by the UN to be the third largest “Biosphere” on earth. For nearly a decade, scientists from the Global White Lion Protection Trust (WLT) have led an international collaborative study involving 6 countries and research on Snow Leopards, Tigers and White Lions. Recently, these collective efforts resulted in a genetic breakthrough: the confirmation of a “genetic marker” for the White Lions. This unique genetic code (carried by certain of the “Golden Lions” in this specific region) will – among other things – enable the WLT to head the campaign to have the White Lions declared a protected sub-species or critically endangered sub-population according to international legislation. But Bio-legislation is unbearably sluggish – the crises is NOW. The protected area along the Klaserie River consists of approximately 5000 acres. What is desperately needed is protection in perpetuity of the entire Klaserie riparian corridor that gives life to the entire biome, and that this White Lion Heartland will receive both National Heritage and World Heritage status. 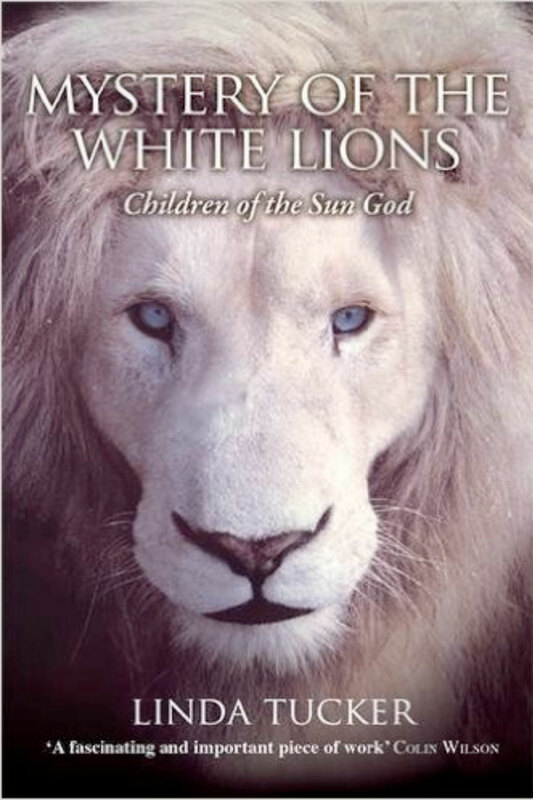 Whether we accept them as prophetic ‘Lions of God’ or simply as rare genetic mutations, the story of the White Lions is a legend unfolding in our own extraordinary times. A major portion of the proceeds from this documentary will go to the Global White Lion Protection Trust (WLT).